4 Bedroom Detached House For Sale in Leicester for £375,000. 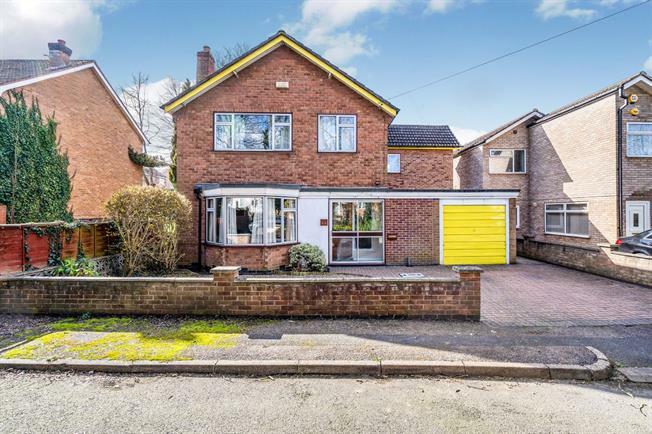 This is an appealing four bedroom detached house which has been extended to the side and presents generous living space, with two reception rooms, kitchen diner, ground floor WC, three double bedrooms, a single bedroom and family bathroom. Other main benefits include gas central heating, double glazed windows, porch, pantry, fitted wardrobes, integrated garage, driveway, generous laid to lawn rear garden, cul de sac location and scope to extend to rear.